The Credit Manager’s New Year 7 Point Check List - Credit Mediators Inc.
Now that the holidays are over with all of its family, food, and fanfare, it’s time to get back to work. I imagine that except for the few who are super organized, most of us have a pile of papers on our desks that resemble a mini Mt. Everest waiting to be reviewed. For some, it might only take a few days. For others, we might be looking at a few weeks. Whatever the case may be, it’s important that we we don’t lose track of the need to establish goals and improve many aspects of our position and department. 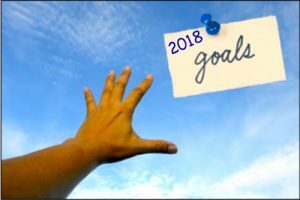 Let me take a moment to give you my thoughts on the top items you may want to tackle in this first month or two of the new year. Establish DSO, Bad Debt, and Collection Goals – It’s imperative to set major goals that are going to significantly drive your department to improve and contribute to your organization. The goals may be several or a few but whatever you decide to do, make them realistic. For example, many credit and collection departments try to decrease their monthly, quarterly, and annual DSO rates. If your monthly DSO is 45 days [(Ave monthly sales / ave monthly AR) / 30 days] but your terms are Net 30 days, then perhaps you may want to try and bring it down to at least 35 days. In doing so, you’ll need to examine and analyze all the steps that are currently in place and evaluate where the improvements can be made to bring the DSO down to the desired level. Let go of those emotionally nagging past due accounts – We can all get sucked into allowing excuse after excuse to further delay when payment will be forthcoming. Sometimes the hardest accounts to collect are the ones that have been with the company for a long time. What at first seemed like a temporary downturn has unfortunately dragged on and in some cases, way past what you would normally allow. With a new year and a new beginning, as difficult as it may be, it may also be a time to cut bait and place those accounts for third party collection support. Help your sales force to sell more – Although we credit managers are programmed to quickly stop the clock on granting credit to past due clients, one of the best things that any credit manager can do is to inform the sales team that after a careful review, they should try to sell more to a select number of good paying accounts. Even if a good paying client is not requesting more credit, if you can significantly raise the credit limit, this can encourage the sales team to try and sell more to those clients, which in turn is how the company can make more money. By supporting the safe expansion of sales, you’re not only working in tandem with the sales department, you’re showing just why the credit department is so important to the growth of the company. Update your credit policy or manual – What should be a work in progress often ends up being a set it and forget it document. Many credit departments spend an enormous amount of time putting together a credit policy or manual that usually includes: how credit should be determined for new and existing customers, a dispute resolution process, credit and financing tools, and several other items. However, as time marches on and changes are sometimes implemented quickly, these changes may not be documented in the policy leaving big gaps in how issues, decisions, and problems should be handled. If you can set aside some time to bring your credit policy up to date, you’ll most likely find that what worked a few years ago, won’t work now. You’ll want to not only make changes but new ideas may also come forth on how to improve the flow and handling of many items. Get your team on board – As most of us don’t work in a vacuum, ideas, changes, improvements and the like all do better when each person on the team can give their input. This is not only so that everyone knows what’s going on, but it also gives each member a feeling that their opinion counts. In addition, at least a monthly meeting will give you and your team the opportunity to review the results of the goals you’ve established, see what’s working and what’s not, and make the changes accordingly. Has your credit application been reviewed by your corporate counsel to confirm that all information requested will be legally binding? This is especially very important if you are using your domestic credit application for clients overseas, as it’s imperative to make sure that the terms and conditions included will conform to what will be legally binding in your client’s country. Establish training and improvement goals – We are all a work in progress and no matter how far we’ve come, the truth is it’s nice to know there’s still a great deal from which to learn and grow. As most credit and collection departments have members at various levels, aiming for credentials from the NACM, FCIB, or other credit risk management organization is only one of many ways to acquire new knowledge and skills. Of course there are many more and as the list gets longer it might get a bit overwhelming. Although you’re more than welcome to use the check list points as I’ve suggested above, in the end your goals, challenges, and issues need to be considered specifically to your credit department and within your company’s broader goals and strategies. Wishing you continued success in this New Year.